journaling | Random moosages as I see fit. Yet another update from the art journal. 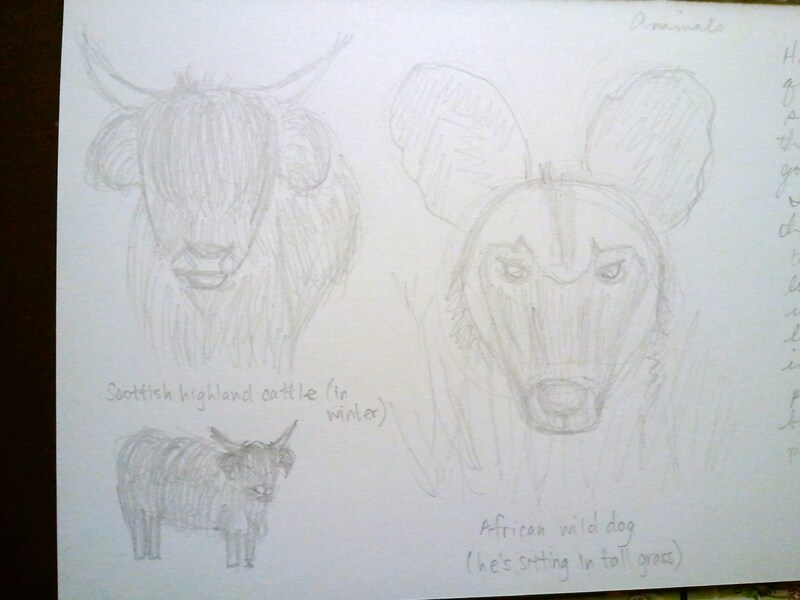 This time of some quick pencil sketches I did of some animals. I was perusing through the photography section of National Geographic’s site and I came across some very funny looking animals. So funny looking they were just asking to be sketched. So I complied. And this is it. It probably satisfies my “animals” topic I had. And…that’s it. Hmm…this is a very short post. Much shorter than I had intended…but I really have nothing else to say about this. Well, here, how about “I really don’t know how those cattle can see.” There’s something. But other than that…I think that’s it. You were about to get a sample of my current handwriting as I wrote a short note to the right of the sketches, but…it got cut off in the picture. So, I guess you don’t get to see what my writing looks like now. Next time, next time. Just a short post today. I’ve been busy and rather tired. 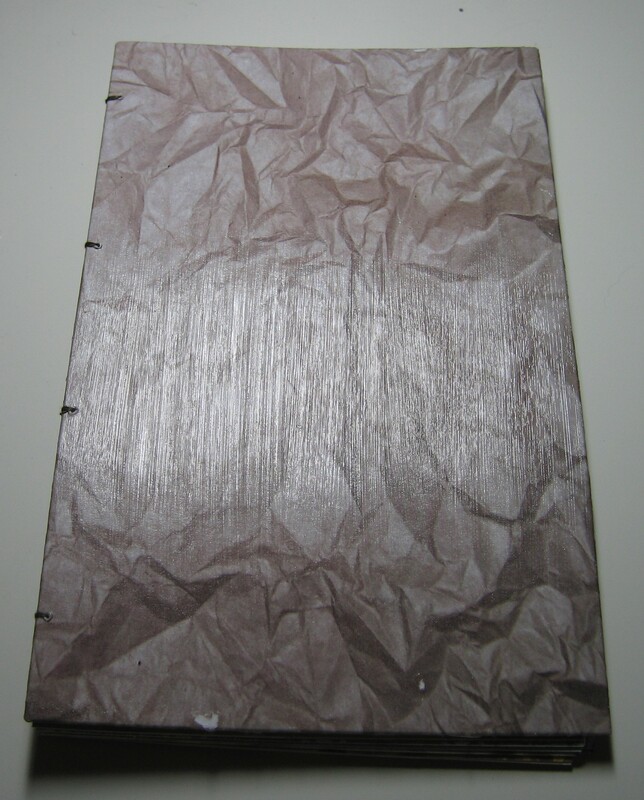 So, here’s an entry in my art journal I’m making for a swap. You can see previous posts about it here and here. I will also remind you again to save our postal service and point you here, here, here, and here. The theme for the entry was “word of the day.” I had originally planned to do another word, for which I also had very strong mental imagery, but I didn’t do it that day and I’ve since forgotten the word. The definition had to do with torrents of words coming from someone’s mouth though. If you have a word that might fit that definition, I’d like to know what it is. It kind of bothers me that I can’t remember the original word. Anyway, for this one, I just checked out dictionary.com‘s word of the day. Gasp! Dictionary.com? But…you’re an avid Merriam Webster user! Yes…I know. I didn’t like dictionary.com before because it gave all kinds of definitions without differentiating what might be slang, what was common usage, what was archaic usage…it was all jumbled together. And I thought it was corrupting the youth. Ok, not really. But I did see some problems with my brother looking up words and then using them however he liked, apparently with the blessing of dictionary.com. Merriam Webster was a real dictionary before they also brought it online and it had all the nice dictionary qualities I look for in a dictionary. That’s why I prefer them. Even now. But, they haven’t put out an app for wp7 and dictionary.com has. So, if I’m using my phone, I use the latter. And having used it more, I see that they have greatly improved how they present their content. I don’t really have a problem with them anymore. SO ANYWAY, that’s how I got my word of the day. Complete with the definition. Tada. Upon looking at it closely, I may have misspelled it. 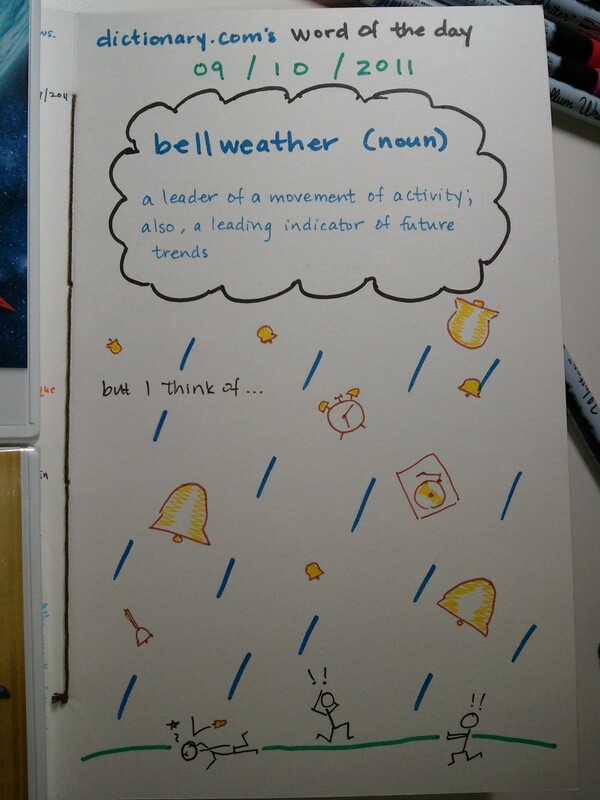 I think believe it’s supposed to be “bellwether” not “bellweather.” I seem to have added an “a” due to the influence of my overactive imagination. I should probably try fixing that. Huzzah.